Gas leak forces evacuation along Veterans Memorial. HOUSTON -- Businesses and some elderly residents have been evacuated along Veterans Memorial due to a gas leak in the area. The leak has now been capped. Harris County Sheriff's deputies, Little York Fire Department and Cy Creek EMS are all at the scene in the 12800 block of Veterans Memorial. A strip center which includes Brightway Adult Daycare was evacuated. 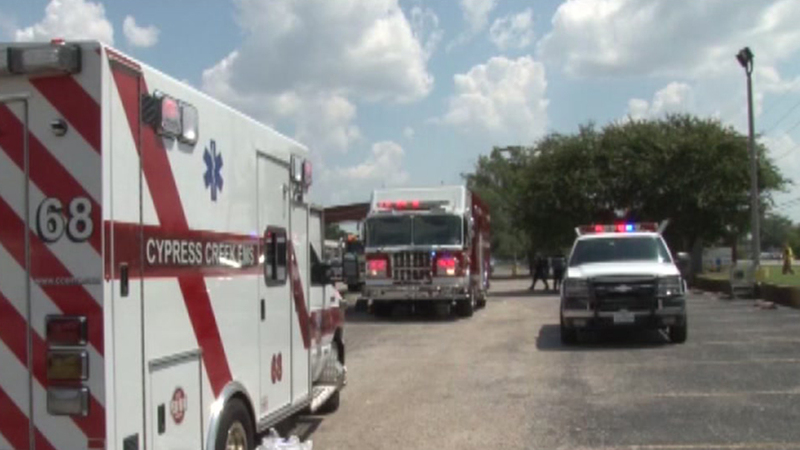 About 30 elderly folks were temporarily staged in ambulances and buses to stay cool during the evacuation. They were transported to another facility, and won't return to this location today. The leak was caused by backhoe in use by some construction workers. No injuries were reported.